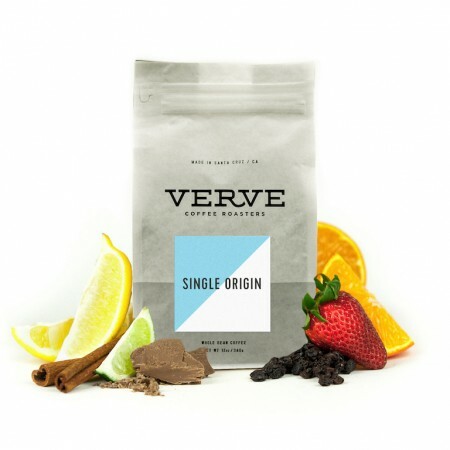 The Nicaragua El Limoncillo Yellow Pacamara was carefully roasted for you by Verve Coffee Roasters. This honey processed coffee was grown by Erwin Mierisch in the Yasica Norte, Matagalpa region of Nicaragua at 1,200 meters above sea level. We love this coffee for it's its nuanced notes of complex fruits, deep molasses sweetness and a rich, velvety mouthfeel. Having trouble nailing this one down. It's all deep dried fruits up front and evolves into something more tropical as it cools down. Almost cloyingly sweet, but I could probably fix that with another brew method. This is definitely a very solid cup of coffee that delivers on the deep molasses sweetness and rich, velvety mouthfeel. The fruit notes are definitely more nuanced coming out of a v60, but there is definitely a nice sweetness to this coffee. I was hoping that the fruit notes would be more pronounced, but as it is, it's still quite tasty! Thanks to Mistobox and Verve for bringing me something I'd never gotten to try before. Upon first sip after first brew, my senses awoke with tropical fruit complexities galore! I could make out some mango and pineapple acidities but balanced out with some deeper notes as well. Mouthfeel was noticably silky and almost syrupy in a good way. I've never seen beans shaped like Milk Duds, big and milk chocolate brown. Very interesting bean indeed. Maybe too acidic for my tastes on a regular basis but those first cups a few days after roast were worth it. Those wild tropical flavors transported me for a bit.